The number Arizona Hotshots DT Chunky Clements wore at the University of Illinois. 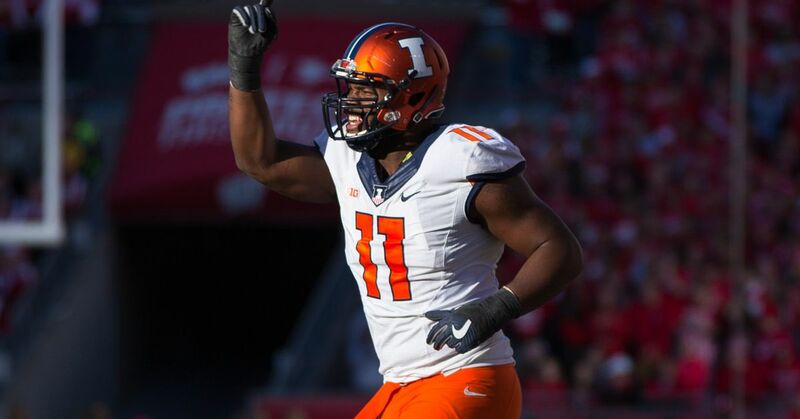 He played four years at Illinois and finished with 25.5 TFLs and 6 sacks. The number that Donteea Dye, Jr. will wear for the Orlando Apollos. The Apollos WR ran a 4.39 out of Heidelberg University (he is listed as the one of the most notable Heidelberg Alumni) at the NFL scouting combine in 2015 but went undrafted. His NFL highlight was when he caught a TD pass from Jameis Winston in 2015. His lowlight was his premature celebration with the Bucs.